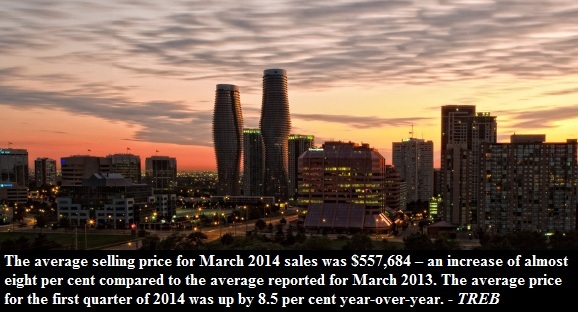 Toronto home sales were up 4% in March 2014 compared to a year earlier. Compared to March 2012, sales were down 17%. 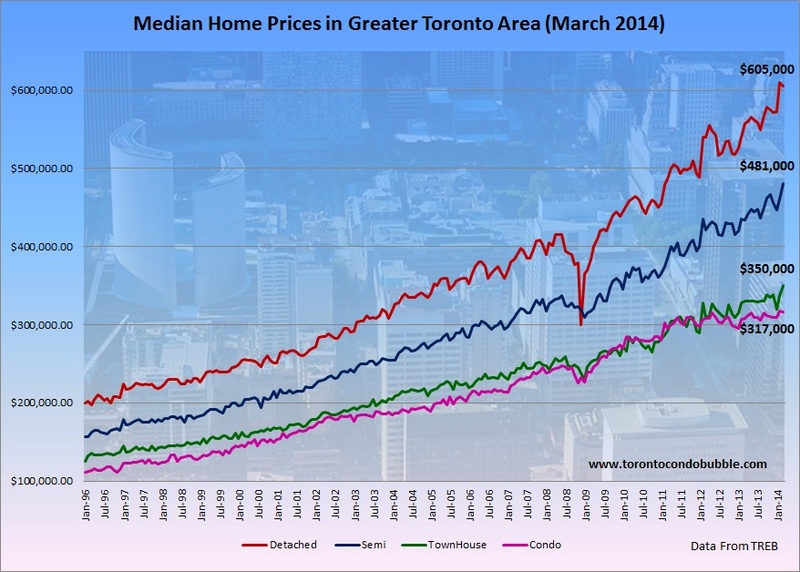 The average home price in Toronto was up by 7.8% while the median price was up 8.2%. The current price appreciation rate is simply unsustainable and is bubble like. This won't continue indefinitely and. at one point, this will reverse. 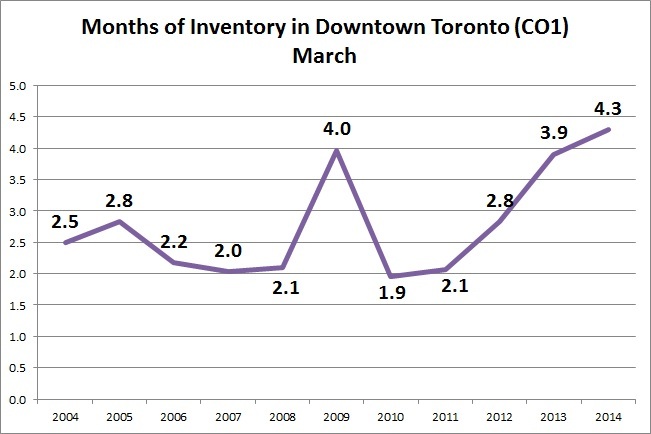 Months of inventory in downtown Toronto condo market hit a record level (HT Ben Rabidoux). With a near record number of condos expected to be completed this year, expect the inventory to continue to rise. As the inventory continues to increase we will eventually hit a tipping point at which the price appreciation will reverse - just like it did in 1989.